Now you can start your day before sunrise if you have the new portable Pelican ProGear 9420 LED Work Light in your tool crib. 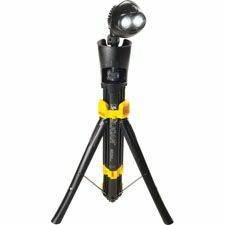 Equipped with two LEDs (1000 lumens of light and 4 hours of burn time), plus a 5 foot high mast deploys easily in seconds and illuminates your entire work area. With the 9420 you will get the job done without the hassle of power cords. Accessing the basement or the attic is easy when you sling the lightweight and collapsible 9420 over your shoulder. The new Pelican ProGear 9420 LED Work Light: Keeps you moving at the speed of light. Deploys Up to 5 ft.